The term “paper” itself comes from the word “papyrus”, which is the plant that the Ancient Egyptians processed to write on. However, papyrus isn’t actually paper. The Egyptians sliced the stem of the papyrus plant into thin strips and pasted them together until they formed something that looked like scrolls and sheets. This is not how you create paper today. To actually make paper, you need fibres. Fibres can be from various tree barks, cotton, and many other natural sources. The fibres are then soaked and mashed into a goopy mold, the mold is then pounded into really thin sheets, and finally hung or laid out to dry. At this time, the growth of literature also created the need for cheaper and readily accessible writing material. Ts’ai Lun invented the first sheets of paper from pounding the wet pulps of the bark of mulberry trees, rags, hemp, and old fish nets and leaving it out to dry for about a day. Now, instead of having to pay heavy prices or waiting for the next shipment of silk and bamboo, you could just make paper. The best thing about this was that it was easily accessible, and just about anyone could do it if they had the time and material! Despite this process dating to almost 2000 years ago, we are still using this method to create sheets of paper now, just at a more rapid and advanced technological level. Now we have tree farms dedicated to being cut down for the creation of paper. There is equipment to chip the wood in preparation for it to become pulp. Complex machines are used instead of hand-macerating the pulps into sheets. Instead of hanging out the pulps to dry for days, hot rollers quickly dry the pulp into paper in a matter of minutes. Think of how instant and readily accessible papermaking seemed to be 2000 years ago, yet is now even more instant. 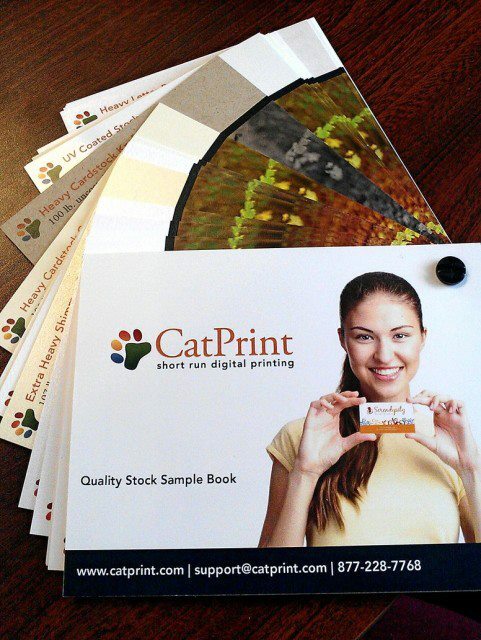 CatPrint already has 30+ different types of paper ready for you to choose from, which you can see and feel in our sample booklets. Try out our Instant Quote and order your prints today! Here’s a fun link on how to make your own paper at home! ← PMS: Not What You Think!